We are please to announce that on Saturday, November 28th the St. Petersburg Men’s Ensemble will return to perform at Holy Trinity Orthodox Church. They will be performing Rachmaninoff’s All-Night Vigil (Op. 37) and other Russian Folk Songs. 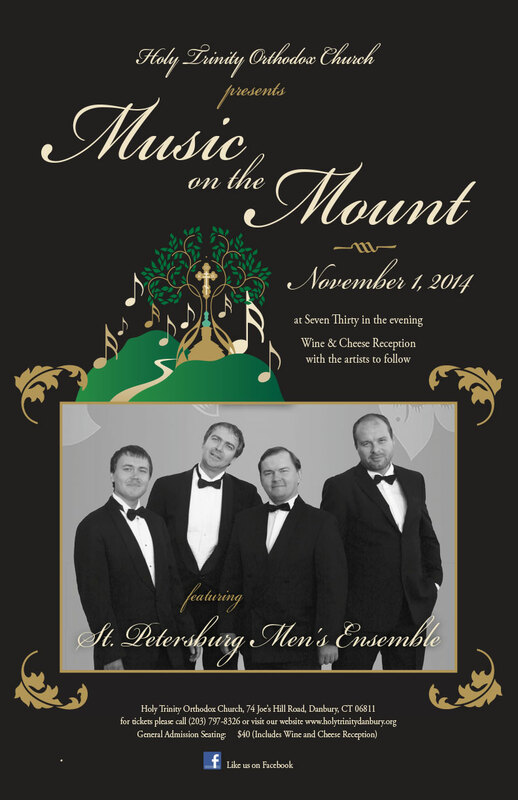 We were very excited to feature the St. Petersburg Men’s Ensemble on November 1, 2014.